Kenai Catering is a full service caterer providing fresh flavorful cuisine and professional service. Located at the Kenai Merit Inn, Kenai Catering offers a banquet room for parties up to about 100 guests. Kenai Catering has catered to most of the popular venues within the Kenai/Soldotna area and can assist you with planning your event. With the experience to handle large banquets, summer barbecues, holiday parties, and exquisite wedding receptions, as well as simple lunch buffets, Kenai Catering is the only caterer to call. 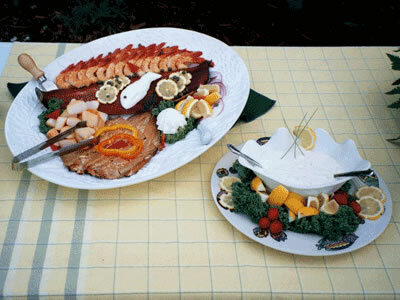 For years, Charlotte has been known for providing great catered food in the Kenai area. Charlotte's Kenai Catering continues that legacy of fresh cuisine and festive buffets. We can create a custom menu just for your event. Give us a call to help you plan your next party.